Alicia is back with a wreath I really want to steal from her! 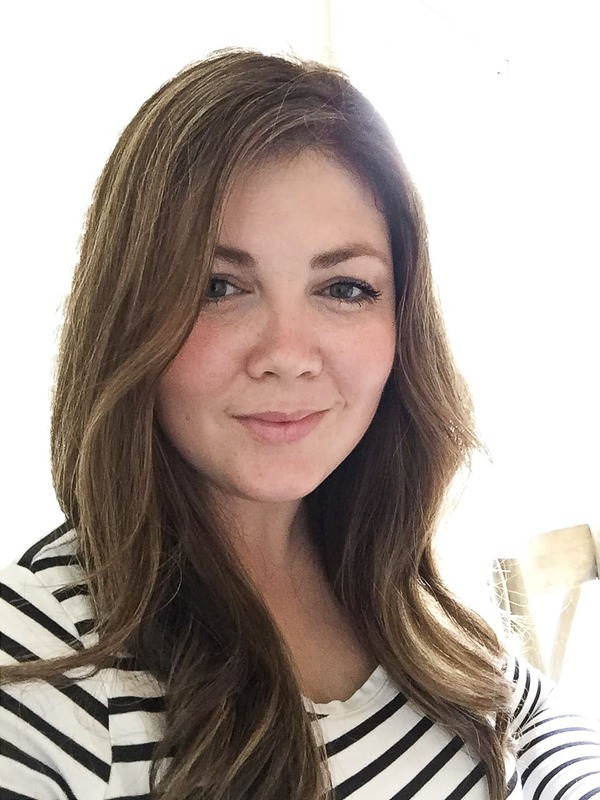 It is perfect for the Fall (and with as huge and pregnant and HOT as I am at the moment, I am dreaming of crisp Fall weather, pumpkin cookies, and lovely Fall decor)! It’s Alicia from A Burst of Beautiful and I am so happy to be back sharing another project with all of you wonderful Ella Claire readers! This week I have slowly started to incorporate fall decor into our home. I know, it’s still mid-August. I truly am trying to savour the last few weeks of our beautiful summer, but I can’t help myself when it comes to autumn. Fall is definitely my favourite season. I love the transition from those hot and hazy days to crisp mornings and cool evenings. I love wearing cozy sweaters and leather riding boots. And I absolutely love anything pumpkin! So I really can’t help myself when summer slowly starts to wind down and it’s time to pull out the extra blankets, light the candles and start all of the delicious pumpkin baking. But back to those fall touches I’ve started added to our home. 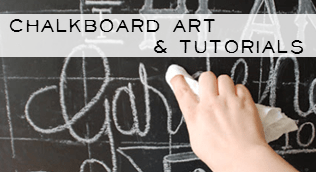 Probably one of my favourite DIY projects to create are wreaths. I have a slight obsession (as my husband kindly pointed out this week). 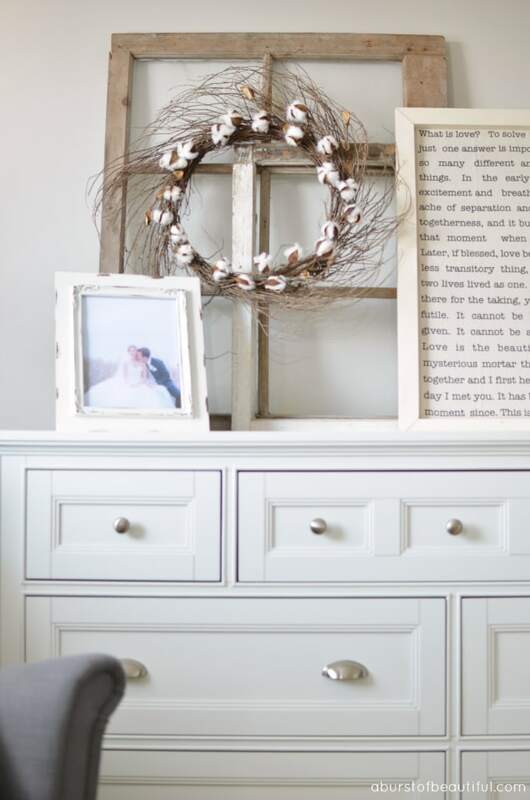 And ever since spotting a gorgeous cotton wreath on one of my favourite TV shows, Fixer Upper, I haven’t been able to get my mind off of it. I am so drawn to the raw and natural beauty of cotton. 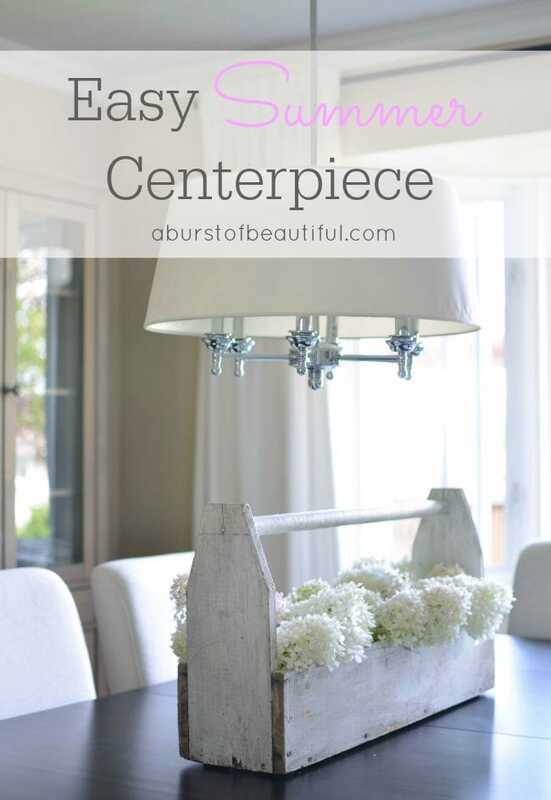 And the rustic appeal fits perfectly with our home and the upcoming fall season. I always tend to decorate using natural elements, especially during autumn when there are so many beautiful natural elements at our finger tips. It’s hard to resist bringing the natural beauty of the harvest season into our homes to enjoy. So I headed to Michaels to pick up some supplies and I created this easy and beautiful DIY Cotton Wreath. 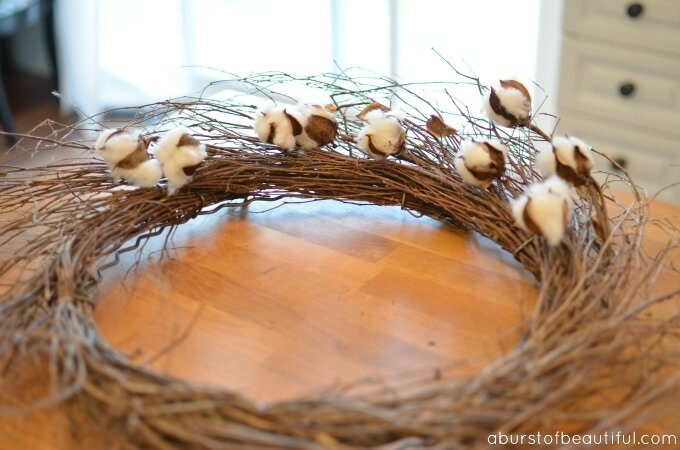 Take apart the cotton stems using the wire cutters, so that you can easily insert them into the twig wreath. 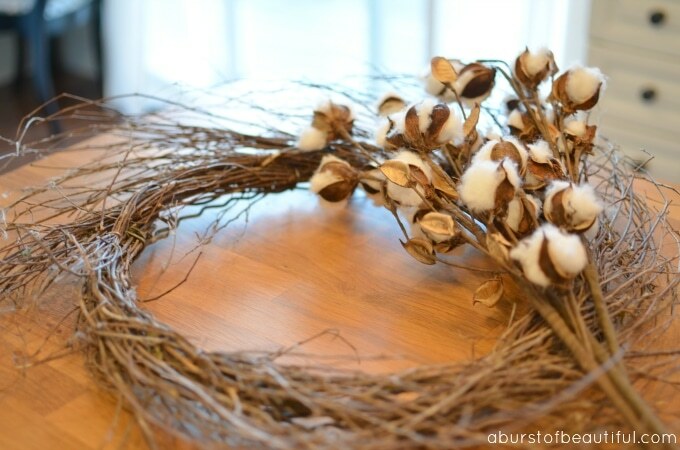 Next entwine the cotton stems into the wreath until you are happy with the final product. I used three deconstructed cotton stems, but you could use more depending on how full you want your wreath to appear. Use the hot glue to permanently adhere the cotton stems to the wreath by applying a small amount of hot glue to the ends of the stems and holding in place until the glue dries. That’s all there is to it. 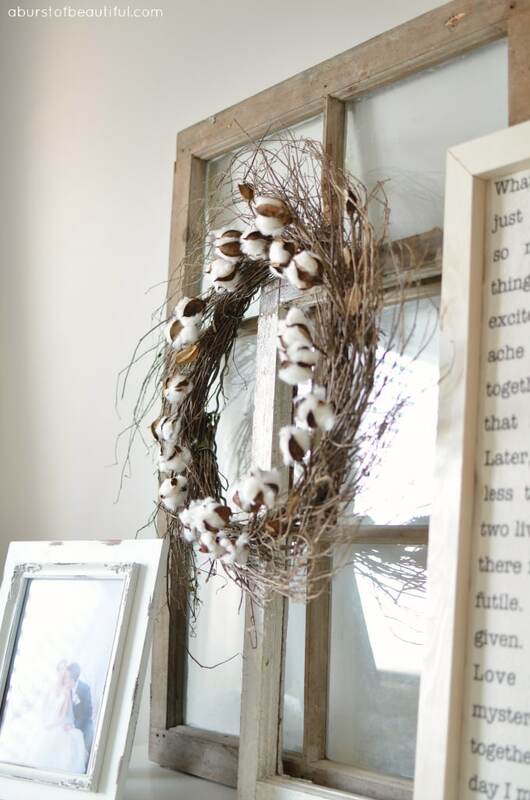 You have a beautiful and unique DIY Cotton Wreath to add a little touch of fall to your home. Such a beautiful wreath! I can’t wait till Fall! Thank you Shawnna! I can’t wait either, fall is my favourite season. You just made my day! I just bought a basic wreath in great shape from our local Goodwill store and didn’t know how to fall-it-up. Have looked all over the internet and haven’t found anything I like. I sprayed it heavily with Old English spray and it’s ready to be made into a fall wreath. 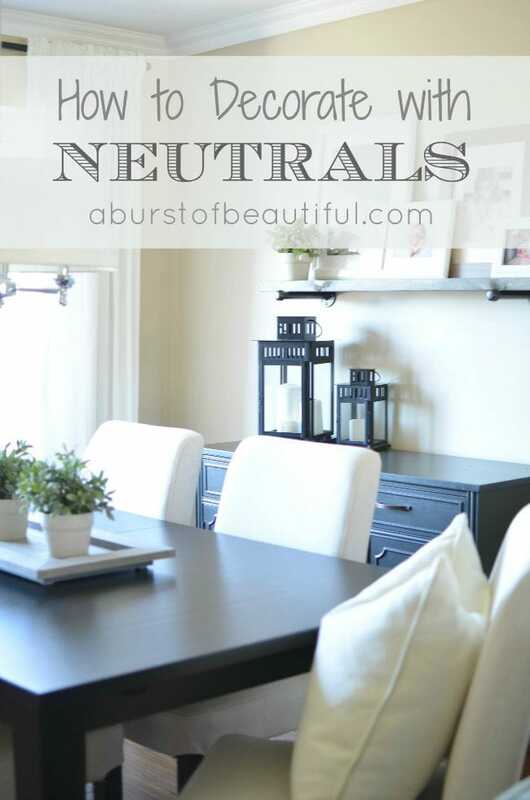 Love the cotton stems as i am in really into neutrals lately. I’ve started a lil fall decorating. New balls with dark brown stripes (ellecor) on pub table/small formal dining area. Wood slice with antlers on dining (kitchen) table. Large sugar cones already in foyer. 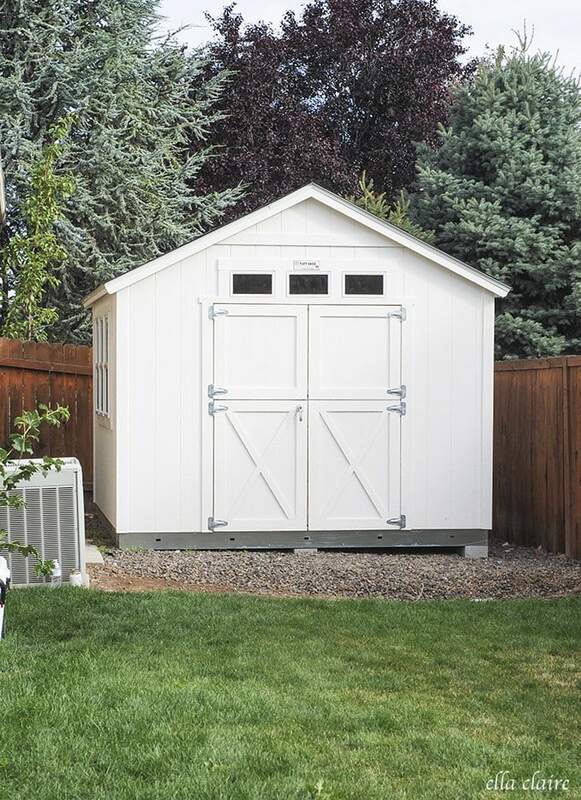 In a month will add pumpkins (heirloom) inside and out! Love fall, too! Stay cool. :). Lucky baby to come home to your precious, lovely home. I’m swooning over your cotton wreath. 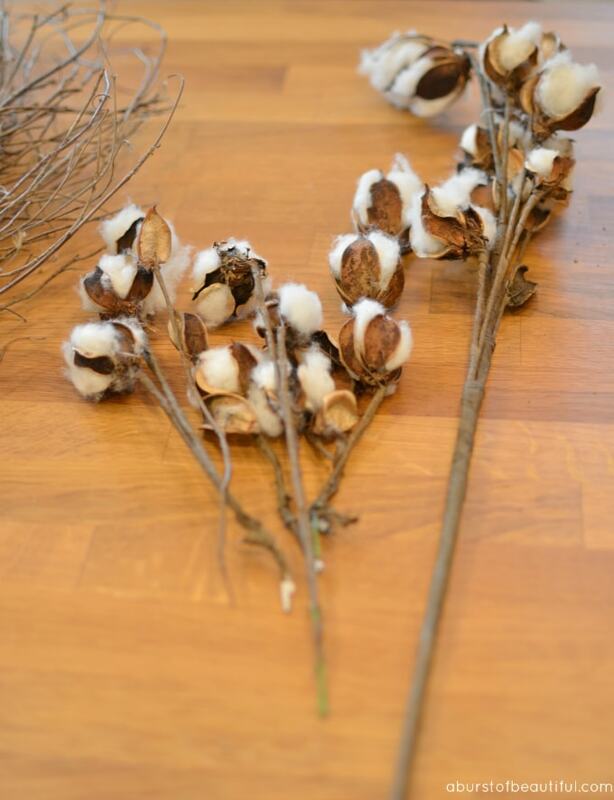 I had some cotton stems in my hand last week and didn’t buy them – dang, now I wish I had. This may be a silly question but are the cotton pieces real or fake? Did those come from Michaels? 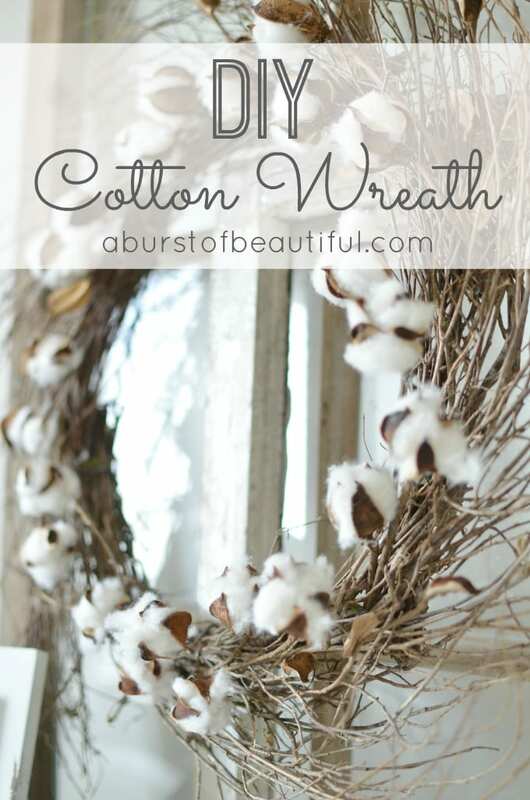 One time I looked at a cotton wreath tutorial and the blogger said she got her cotton from a cotton field nearby. Here in upstate New York, I don’t have a cotton field around the corner 😉 Thanks!! I love this! I have to make one now! so pretty! I love seeing the cotton plants in the fall! I guess because I didn’t grow up in the south, I still look over and think they are amazing! 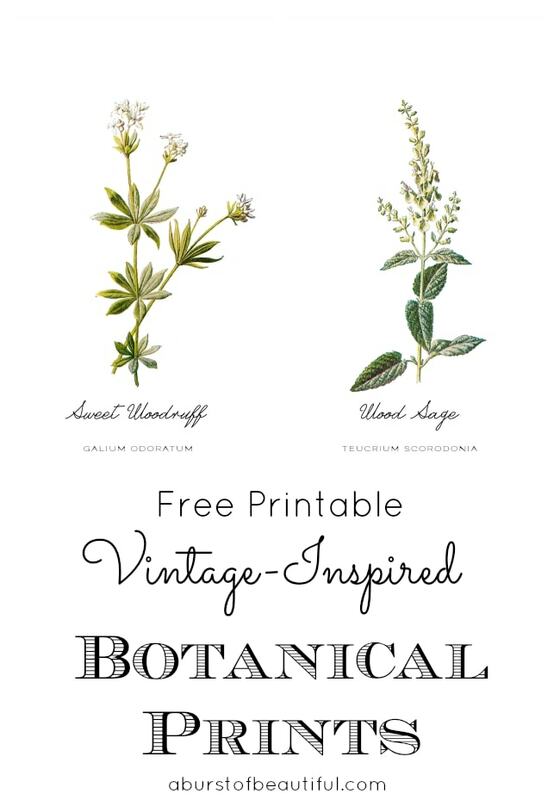 Thanks for sharing, found you via A Simple Pantry’s link party! 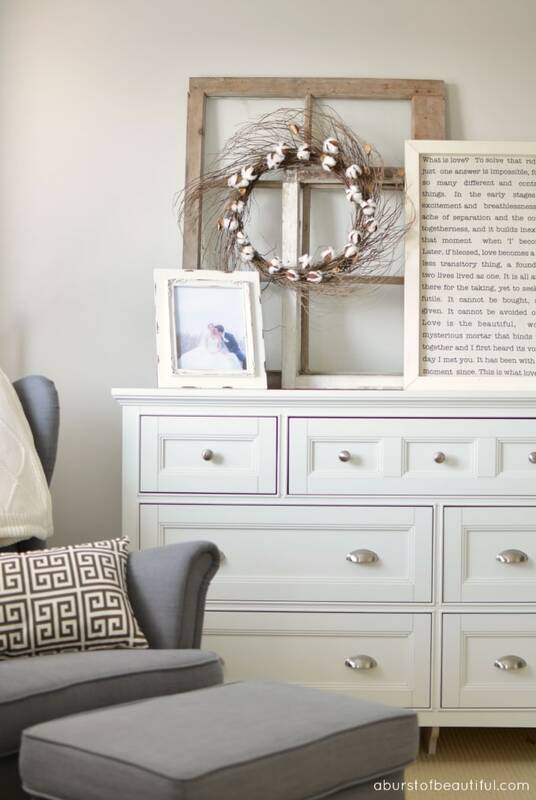 I can’t get enough of cotton for decorating! 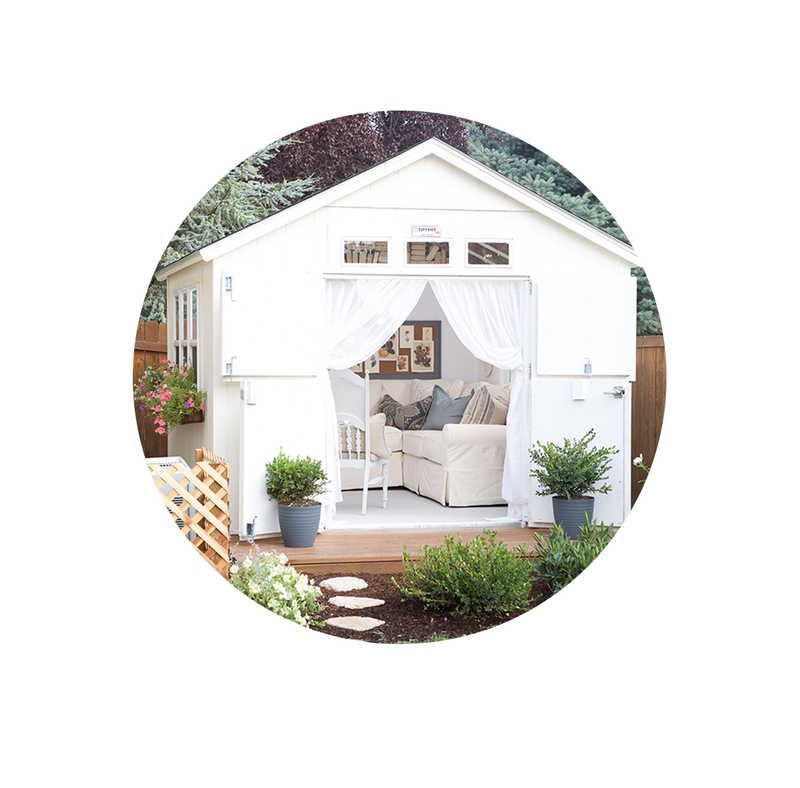 Love this idea too! Thank you Erin! The wreath is from Michaels. I love how the wispy branches add that something extra! Love this wreath diy! Thanks for sharing at the Inspiration Spotlight party. Pinned & shared.